More accurately, mountains stood in the way—the Appalachian and Adirondack Mountains to be exact—between the eastern coast of the United States and the Great Lakes. A traveler spent over two weeks reaching Lake Eerie, where Cleveland now stands, and another two weeks to reach Detroit. A boat across the smallest of the Great Lakes would have greatly shortened this time; however, these boats were not available to the foot and wagon traffic that trundled across the mountains. In the 1760s in Great Britain, the Duke of Bridgewater sank his entire fortune into building canals to haul coal throughout the country. He impoverished himself with the project, but it later paid off. Why not a canal to connect the Hudson River with Lake Eerie? Because 600 feet of elevation created a problem. At this time, locks could only elevate a craft a maximum of twelve feet at a time. That meant that a minimum of 50 locks would have to be built along a manmade waterway, a feat of engineering at any time in history, especially in the late eighteenth and early nineteenth centuries. Difficult, but not impossible. 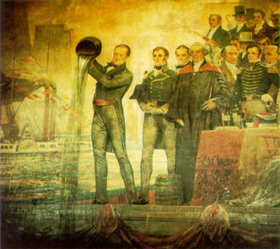 Many men proposed a canal over the next few decades and, finally, in 1808, the New York Assembly took the idea seriously, especially Governor Clinton. He received considerable ridicule. The canal project was called Clinton’s Folly and Clinton’s Ditch. But in 1817, the state legislature authorized seven million dollars to fund the project. Through the over 360 mile canal from the Hudson River, to Buffalo, New York and Lake Eerie, engineers, mostly German stone masons and Irish laborers, had to build aqueducts, blast through limestone mountains and dense forests. Other natural barriers included the malaria-carrying mosquitoes that killed around 1,000 workers in the next eight years of construction. But, at last, a water way was created. Cananarrow boats, also known as narrow boats, were hauled by horses and mules along a “tow” path. Grain and other produce became cheaper to haul from the Midwest farms, to the highly occupied cities of the East. Machinery and imported goods, as well as the migration of people from an increasing population in the East, flowed to the west with greater ease, speed, and lower cost. On October 26, 1825, the Eerie canal opened. Several times since then, the canal has been widened and the route changed a little. Nowadays, mostly only pleasure craft use the waterway rather than commercial vessels, which take the St. Laurens Seaway from the east coast, to the Great Lakes. When researching the Eerie Canal for “Moonlight Promise” my novella in Sincerely Yours (Revell Books, April 1, 2014), I discovered that October 26, 1825 was the night of a full moon. Ah, such promise for this romance writer’s soul. In all practicality, probably not coincidence to have the canal open on the day of a full moon. Purposeful or not, that full moon must have looked like a promise to tens of thousands – the canal would make a world of difference in their lives. I cannot imagine all the work that went on to get the canal built. I am sure will amid determination came in to play many times throughout the years. This was a very interesting bit of history and I will remember the opening as Oct. 26 is my mother's birthday. The canal was certainly an incredible and life-changing undertaking. 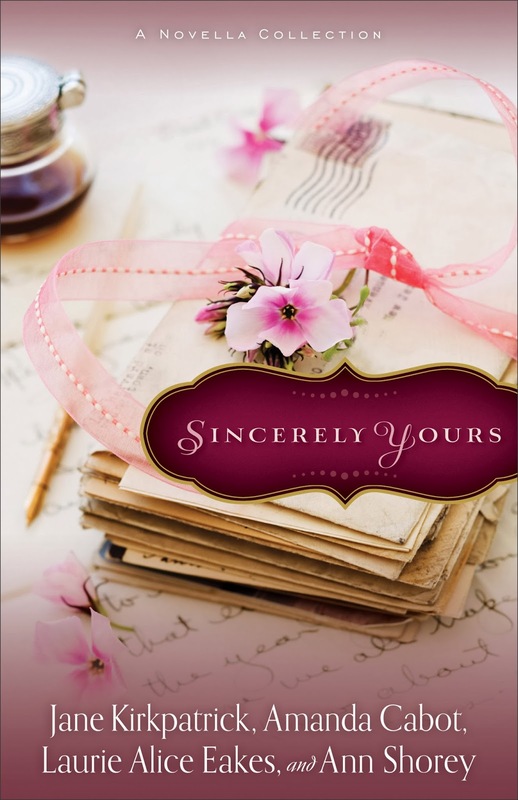 I am very eager to read SINCERELY YOURS! The cover is beautiful and I know the novellas will be as well! It always impresses me when I read about the labor intensive work our ancestors endured to make life easier and better not only for them but for our benefit as well. Kaw5931 at aol dot com. Kat, I couldn't agree more. The railroads that pushed further west and the Panama Canal are two other huge endeavors that are fascinating. So interesting! Love the cover of your new book, Laurie Alice. Hey, peeps, stick around. We're moving on from the Erie Canal (Chris. GOOD catch! :) to a train wreck in MS in 1863. See ya on the flip side!